Born on October 1, 1971, Tenthani was a fearless columnist who also stringed for well known international news organisations such as the BBC and Associated Press. Ralph’s death has robbed Malawi of one of its best journalists who contributed immensely to Malawi’s democracy and development through the pen. A fine journalist, gallant fighter and very friendly fella, people could mock or make jokes about him but he would never get angry or lose his cool. He would call you any time – even at 12 midnight, just to ask you where you are and invite you for a drink. He was one of the fearless and gallent freedom fighters Malawi has ever had. Different governments have come and gone but political praise-singing was not part of his scripts or vocabulary. He had a soft spot for the government of President Joyce Banda but even she was never spared the muckraking whenever she strayed or went off track. He loved to tell the truth, nothing but the painful truth, in his writings in which he called a spade a spade, not a big spoon. His writings set him apart and gave him a special aura of power; indeed the kind of clout only the pen can offer. Ralph will be remembered for his prolific writings and influential column in The Sunday Times; as well as for being a very charming character. He will be missed for his humility and generosity in imparting advice and knowledge to other media practitioners, politicians and the Malawian society in general. His friendly character made him a darling for many. Tenthani’s impeccable courage and technique in advancing journalistic work is something Malawians will miss dearly. As a correspondent for international media outlets such as the BBC, Ralph was an inspiration to many local journalists who looked up to him as a model of success in the journalism profession. His contributions as a columnist will surely be missed by many Malawians who used to love his pieces of writing, especially his weekend column known as ‘Muckraking on Sunday’ which used to be published in The Sunday Times newspaper. His writings were awesome to read and his rational approach to issues of national importance in his column made Ralph an influential journalist. He loved Malawi as a country and was so obsessive in his patriotism. He craved for good politics and visionary leadership for Malawi and was saddened and frustrated by persistent poor governance Malawi has been subjected to by all the successive governments that have come and gone in the country. As a defender of media freedom and freedom of expression, Ralph will be remembered through the contributions he made when he was once part of the National Governing Council for the Media Institute of Southern Africa Malawi Chapter as an executive member. H e was very passionate about journalism and was outspoken especially on issues of media freedom and always spoke out whenever a journalists rights were infringed. He proved right the saying that the pen is mightier than the sword through the reactions and sometimes angry outbursts he used to receive from politicians, policy makers and ordinary Malawians for writings in his column. He loved books and encouraged fellow journalists to read widely to deepen and broaden their understanding of life and issues and help them become better and knowledgeable journalists. Whenever you met with him, he would have some classics book in his hand and always found time to read a few chapters, especially when he was not on his laptop typing a few lines for the next piece of his column or story for filing to London or New York. No wonder, his knowledge of local and international political and social issues was out of this world. He followed United States of American or British politics as if they were about by-elections in his home village. He was a family man too who immensely loved and cared for his children and relatives in particular. It was not strange to spot him with his little boys doing shopping in town while visits to his village in Ntcheu to see his mother were always part of his routine. Just like everyone else, he was not perfect and he never pretended to be an Angel. But in Raphael Tenthani, Malawi has certainly yet again lost one of its prolific journalists and greatest sons of the soil. And he is irreplaceable. Journalist par excellence and friend of many gone too soon. But your legacy lives on Ralph. Go thee well till we meet again in God’s glory. ThumbsUp for a life well lived Ralph. 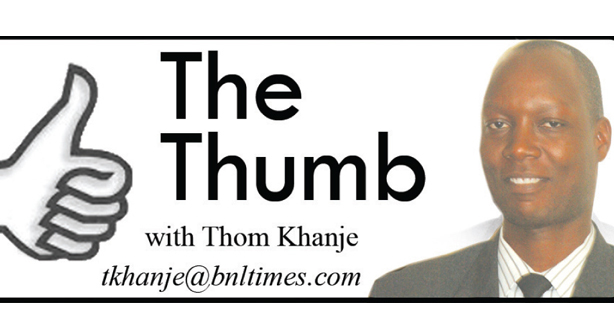 Thom Khanje – who has written 164 posts on The Times Group.